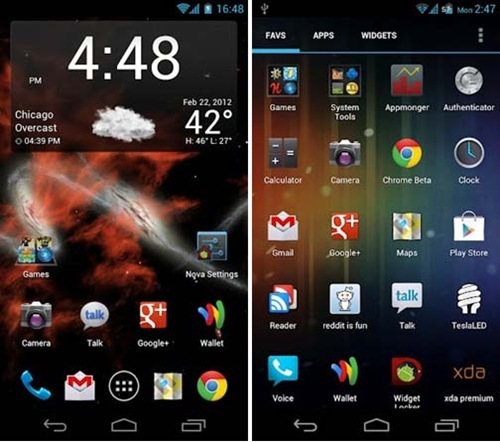 If you are on a quest to find some of the Best Android launcher for your Smartphone, you have come at the right place. With the hundreds of choices available to choose from, it is quite a task to choose the best. 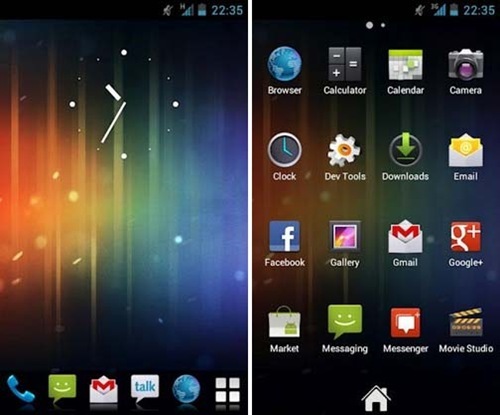 A launcher qualifies to become a best Android launcher when it is capable of delivering a good user experience and has quality User interface. Now you can customize Android with these cool launchers apps, there are lots of beautiful Android themes available in these apps. We have made the choosing a little easier for you, and in this article, you can look for the best Android launchers for your Smartphones. Choosing one from hundreds is a task, but choosing one from thirty might be a little easier. Want to give your Smartphone a complete makeover? Nothing could beat the Apex launcher for Android as far as the customization and the accuracy of features are concerned. The other features of Apex launchers are Scrollable dock, fancy transition effects, desktop lock to prevent aciddental changes, Homescreen gestures, multiple drawer styles etc. 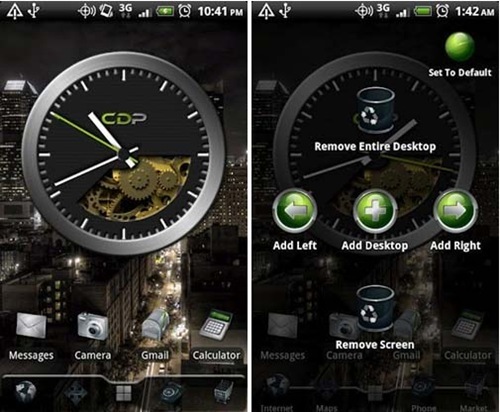 This launcher is famous for its look and material designs. There are lots of customization, color and theme options in this launcher. There are many premium features of other launchers like Pixcel launcher features, Android 7.1 Quickcuts features and Shutters, covers etc. Chances are you might have already come across this android launcher while surfing through the web. 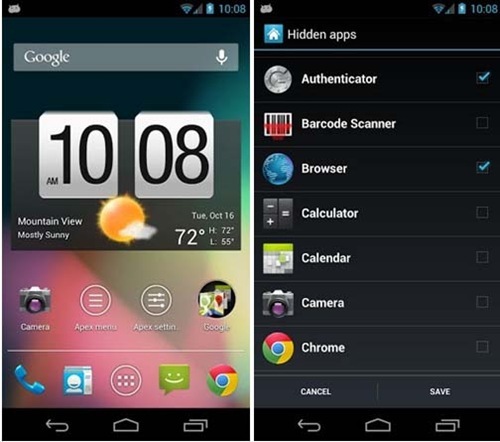 This android launcher is driven by performance and works with Android versions 4.0 and above. You can coustomize this launcher in any way you want. There are lots of Nova Launcher features like Color Control, Customizable app drawer, Infinite Scroll, Backup/ Restore desktop layout or launcher settings and many more. You can even go for Nova Launcher Prime, its the premium version with lots of extraordinary features like Gesture, Unread Counts, Custom Drawer Groups, Hide Apps, Icon Effects etc. This launcher for Android has a categorically separated apps for you and a simple and easy to sue home screen! As you proceed into the day Aviate changes what information you see on the display! 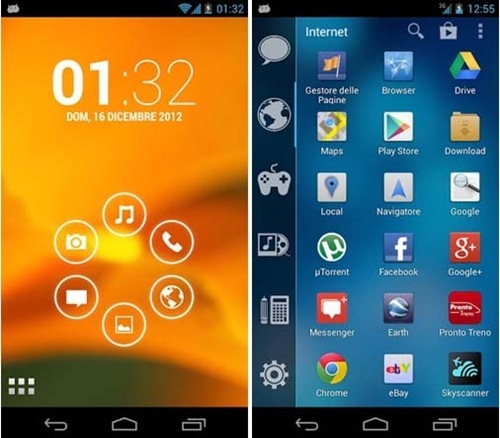 It is a smart launcher which automatically organize your apps, so that you can quickly acess what you need. There are lots of other features like Smart Stream, Favourite people etc that makes it one of the best Android launcher. This again is a great android launcher if you are simply looking for a simple change of design as it uses minimalistic resources and has a user friendly design. It is different from other launcher as it it is not based on ASOP launcher. It is designed to save RAM and battery. Other features like Double tap to start second app, Apps sorted in categories, search bar for app, contacts and web, double tap to turn off screeen etc make it a Smart launcher. This was the launcher for Android with which Microsoft made its entry into the world of the launchers. The entire look and feel is that of a compact and simple Android environment and one thing about this launcher is your Apps get a sorting depending upon their frequency of usage! The other key features of this launchers are Recent Activity to quickly acess all your recent tasks like phone call, text messages etc. This definitely needs no introduction. Powerful and effective are the two words! Just say OK Google and give it some command or task. It is very fast and clean launcher. 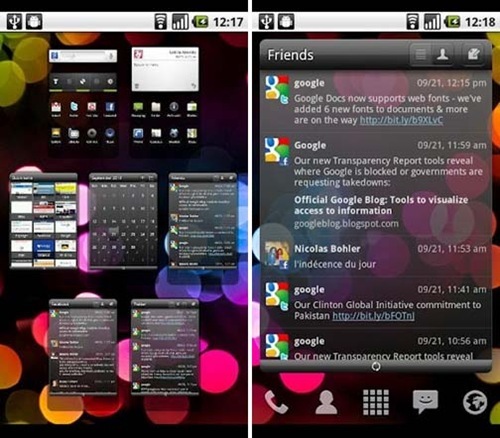 GO Launcher EX is yet another of the amazing Android launcher available on the Google play. Themes? Check. Customization? Check. Performance? Check. There isn’t much we need to talk about this launcher as it is indeed your one stop place. To get things in control, this android launcher helps you implement parental control and prevent your kid from tampering with personal data. With this launcher, the custom home screen apps are only accessible to the kids. MXHome is a great launcher for Android and the thing that makes it a better choice over the others is the 3D effect for the theme page. The experience is indeed one of its kind. Another one on our list of best launchers for Android is the 91 Launcher which is a new one, but the entire look and feel of this Android launcher is going to be great. The transition effects and the customizable widgets, it is all right here! This again is a 3d Android launcher for your Smartphone and you can have a 3D everything- home screen, widgets, and your phone will look like never before. However, this android launcher comes at a hefty price of $15, but you might as well find it worth it; given the kind of features it has. 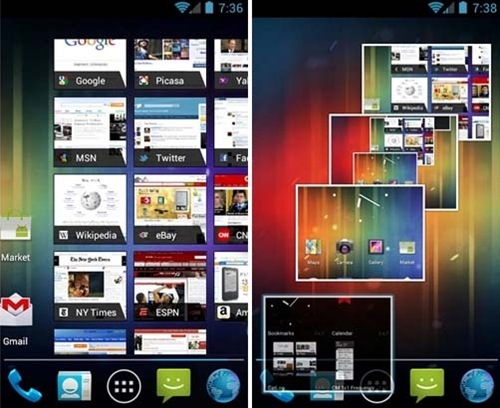 However, rest assured that with this Android launcher on your phone, you will definitely be flaunting it everywhere! The Android 6.0 is here and there are people still struggling to get the Android lollipop for their Smartphones. So here is the right android launcher for you! Chameleon Launcher is a launcher which has been worked up for Tablets in particular and with its help, you can create personalized layouts, widgets, etc. Going by the 3D launchers stated right above, you might still be unsure about the price to pay. If that is the ace, you could surely give Vire launcher a shot. It is also a new app on the list, but it is worth the choice. The outline for this launcher should have been a little more detailed, but chances are you might be pretty much happy with this. The Yandex.Shell comes from the makers of the largest search website in Russia. The app is not madeavailable in all the countries and so you might want to check if it is there. In case you are a fan of white, you might love to work with this Android launcher. The widgets as well as the settings menu has a white backdrop and the entire look and feel of this launcher is pretty much what you would like to have. If you still wish to have the look and feel which is similar to that of iOS, you might want to try this Android launcher. The entire thing about an iOS like ecosystem was quite the craze during that time and so here it is a similar app for the Windows 8. Though that is no longer the trend and the users look for better, you would still like to give this launcher a shot. If you are a person who would like to have the Windows 8 like look on your Android phone, then here is the thing for you. Customize your own set of tiles and you will be able to use wallpapers that are visible behind them, not to forget the widgets that can be adjusted as well. As the name pretty much suggests, this is yet another launcher for Android which lets you have the tile like look on your home screen. The app is still in its preparation phase (quite visible with its name though). As of now you can customize the tiles and slide through the app drawer with support for various icon packs coming from a set of already popular launchers. If you are looking for an Android launcher which is simple to use but also provides you a great customizable experience, then this is the launcher for you. This is one of those launchers which requires you to have a rooted device. 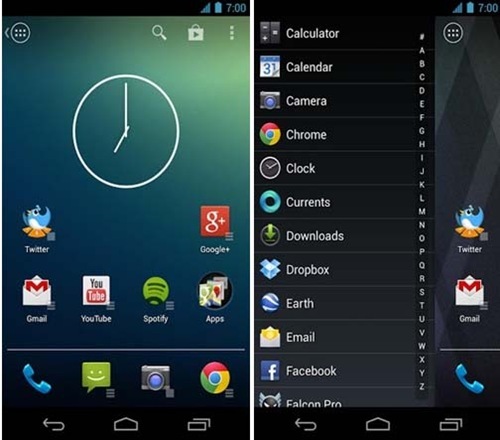 It is an official CM9 launcher and supports Android 4.0.1 and above versions. This might give your phone the much needed break from the traditional launcher. The Zeam launcher again, is one of the best launchers and with this aboard, you will surely be able to experience a range of features and also a smooth and beautiful system environment. 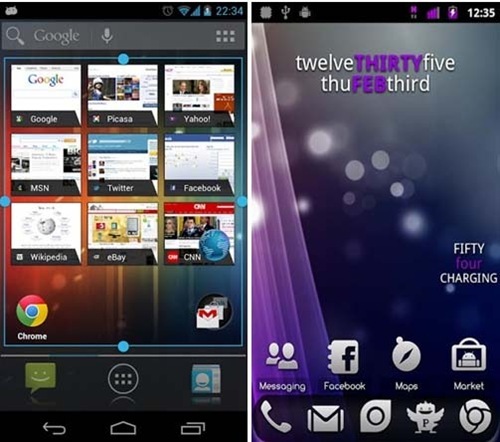 The Crazy Launcher is an Android launcher available at a price $3.99 and what makes it different from the rest is that you get to choose 5 screens for a particular theme and in addition to that you also have 3 desktops having some really effective features. Now this is one of the best Android launchers if you would like to surf through the thousands of skins and themes it has to offer with all the customization it has to offer. If you aren’t really a person who is more into customization, Themer is the thing for you. Choose from a set of preset themes easy and quick! This is one great 3D launcher that has some unique features in store for you; one of them being the ability to let you create a folder within the workspace and other folders. If you are looking for an Android launcher that isn’t very complicated and still has a lot of features and customizing options, then here is the one for you- the Launcher Pro. 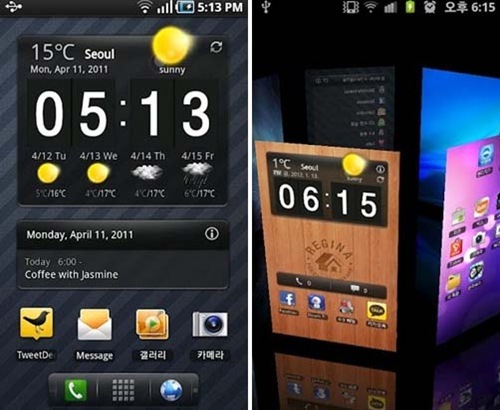 The TSF Shell is yet another Android launcher which is a bit more pricey that the one above. This one is priced at $16.81. if you are wondering why is this a paid forum, well it is because it has been competing among the list of other 3D launchers. 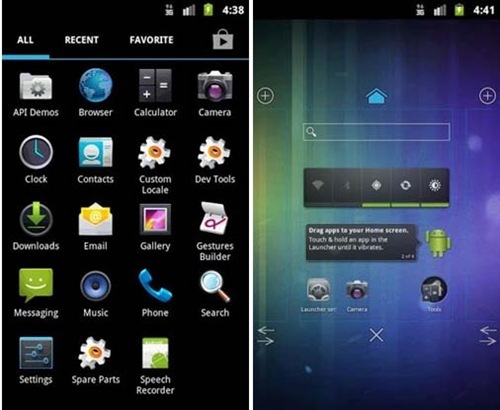 What makes this one of the best Android launchers is the fact that apart from the regular effects and transitions, what this launcher has in store is a list of controls for better organization, icon layouts, a configurable side column for quick access many more additional features. After the two heftily priced 3D launchers, the Next launcher 3D is next in line. The list of features for this android launcher includes a stereoscopic 3D screen preview with customizable widgets and themes, rotatable dock, etc. 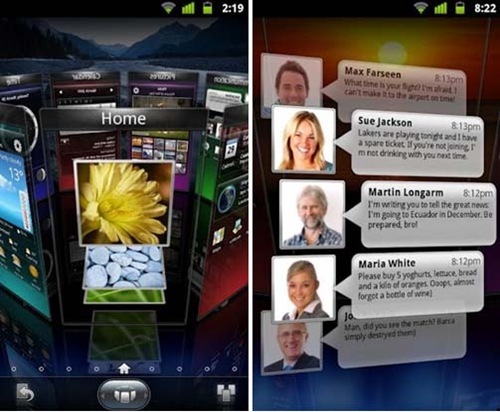 as per the reviews, this is indeed one of the best 3D android launchers. The last but not the least! (or may be) If you just need a change with a minimum of add ons, then this is the one for you! This launcher is develop by Nokia and has lots of feature like Scribble like gesture to find what you looking for, it learns things to give you right thing at right time and is very fast. And that was all about the list of best launchers for Android! 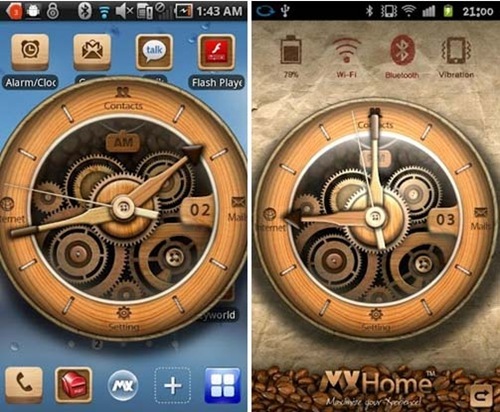 No more of the same boring widgets and apps, make your phone look a little more exciting! Hope you like trhis list of best Android launchers, you can also suggest some launcher with unique feature in comments.